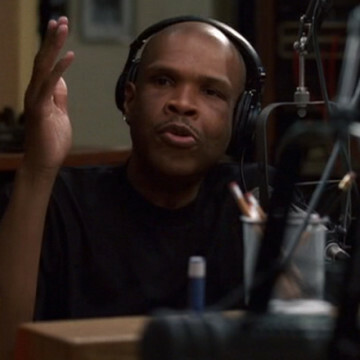 Host of real-life morning show Big Boy’s Neighborhood on Power 106 out of Los Angeles, Big Boy’s first appearance in Entourage is in the series’ fourth episode. Big Boy and his co-hosts aim to land Vince a date for the opening night of Head On and receive a call from pop singer Justine Chapin live on air. Big Boy makes his second and final appearance in the series during S03E01, Aquamom, before the premiere of Aquaman.